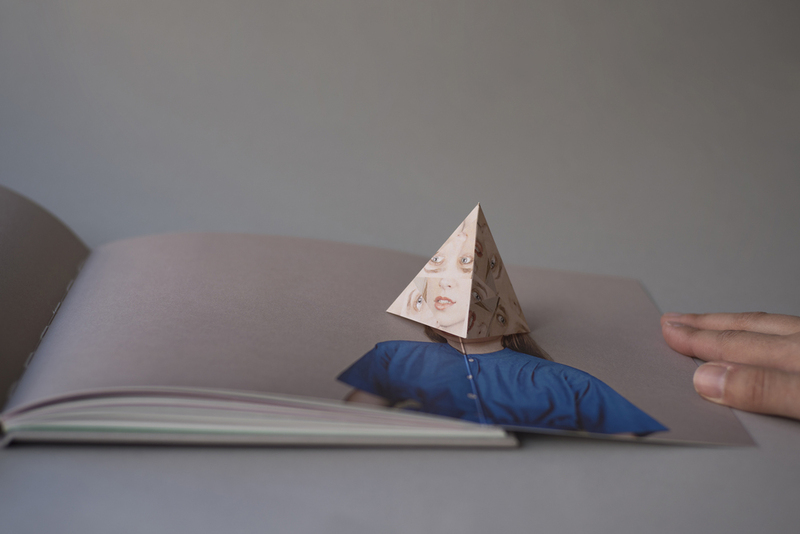 This project is a collaboration between Stanley James Press and Alma Haser. Stanley James Press designed the book and managed the production. We were also involved in the construction of the pop ups which were added by hand by us, Alma Haser and our pop up team. 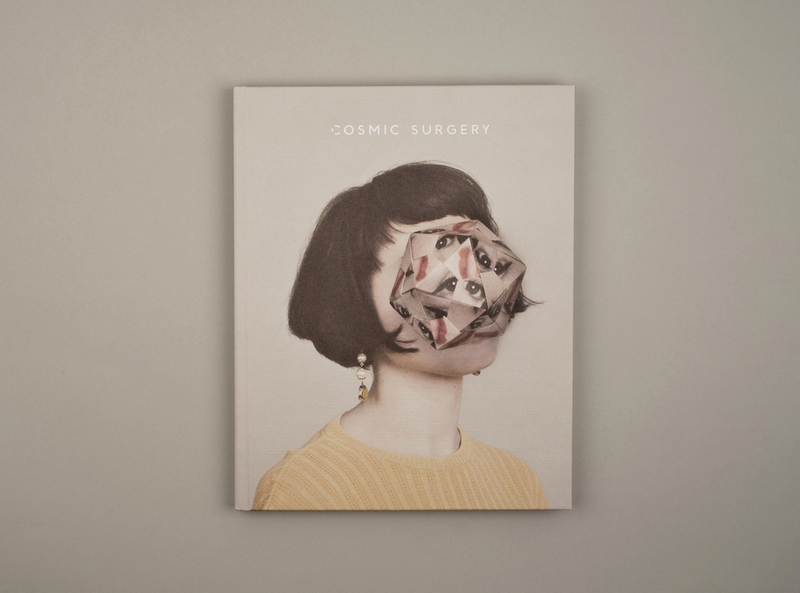 Cosmic Surgery is set in a fictional, not too distant future where intelligent materials are about to transform the world of traditional cosmetic surgery. This edition of the book contains 2 pop ups and a foldout portrait, as well as a number of smaller pages which contain the story Piers Bizony wrote for us in the form of a cosmetics company brochure. The limited edition version of the book contains a ‘Recovery Kit’. A number of items intend to help you relax after you come round from your surgery. The pack includes a cassette containing ’subliminal sound pulses’ by Simon James, a prescription of face relaxing pills, some stickers to cover up those unwanted images of the previous you and a herbal tea bag, all to aid a speedy recovery. The box also contains an extra pop up featured in the first edition as well as the smell of antiseptic that will fill the room once the box is opened. The book and limited edition book can be bought here. This Edition was produced in a run of 500 copies. The Limited Edition was limited to 50 copies.